DENIS OMABA'S BLOGS: Nursing mother jailed 7 days for stealing indomie. Wow! 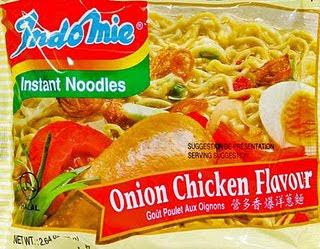 Nursing mother jailed 7 days for stealing indomie. Wow! An Osogbo Senior Magistrates’ Court on Thursday sentenced a 28-year-old nursing mother, Taye Joseph, to seven days of community service for stealing a carton of indomie. The convict was to be kept in the custody of Ataoja Police Station in Osogbo from where she was expected to be coming to clean the court’s premises for seven days. Senior Magistrate Olusola Aluko, however, gave an option of N300 fine for each of the seven-count charges brought against the convict. Joseph had pleaded guilty to the seven-count charges of conspiracy, house-breaking as well as stealing and asked for leniency. The police prosecutor, Solomon Oladele, told the court that the woman committed the offences, which contravened sections 516, 383, 413 and 390, of the Criminal Code, Laws of Osun, on Nov. 16, at Olugun area in Osogbo. Oladele, while presenting the facts of the case during a summary trial, told the court that Joseph forcefully entered the shop of one Fasilat Yinusa and stole a carton of indomie valued at N1, 200. He added that the woman stole some biscuits, Viju milk, eggs, packets of cigarettes and Bournvita among other items from the shops of Mulikat Agbeja and Folasade Suleieman. According to Oladele, one Falola Saidi sighted the convict while trying to escape with the stolen items and raised an alarm which enabled passersby to apprehend her. Aluko, in his jugdment, aid : “ Throughout the trial period, I watched the convict keenly as she wept which indicated that she is regretting her action and I noticed that she is very sober. “She is to be kept in the custody of the Ataoja Police Station from where she should be coming to clean the premises of this court for seven days.